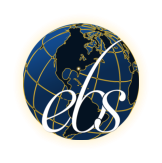 EBS offers several fee structures and flexible payment options that best match the nature and duration of services to be provided, and tailored to the timing of clients’ cash flow and ability to pay. Flat fees are applied to standard and long term engagements such as tax preparation services and monthly bookkeeping and financial statement preparation. Job costing is used for engagements having a high probability of increased resource needs as jobs progress. Typical engagements in this category are: • Business plans • Reviews and Compilations • Quick Books setup and training An engagement may utilize a mix of the pricing methods above in arriving at a final cost for the service. We accept cash, checks and all major credit cards.